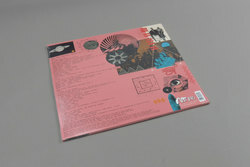 Sun Ra and His Myth Science Solar Arkestra - Lost Ark Series Vol. 1 & 2. Vinyl LP. Bleep. 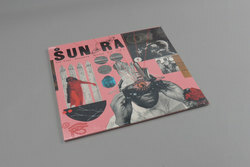 Art Yard collect their two long sold out 10”s of Sun Ra material and press the tracks up onto one LP for those who missed out first time round. ‘The Sky Is A Sea Of Darkness...’ is a personal favourite of ours, a gem in amongst the mythical jazz mavericks vast back catalogue that can light a room up when played at the right time. ‘We Travel The Spaceways’ is a bona fide Ra classic too, and it’s worth checking this out on the strength of those two cuts alone.